The Cincinnati City Council voted this week to eliminate parking requirements in vast swaths of the downtown urban core. 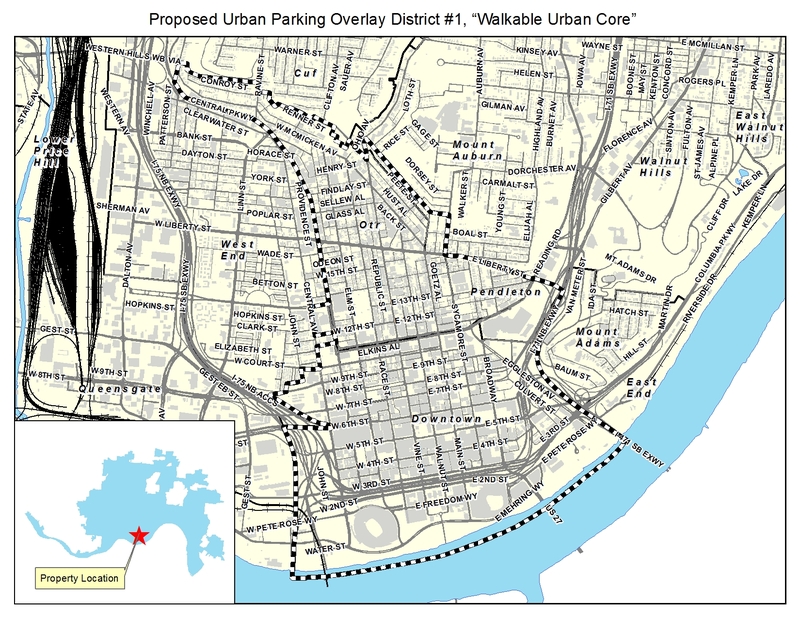 "The Cincinnati City Council overwhelmingly voted to eliminate mandatory parking requirements in three dense downtown neighborhoods," reports Angie Schmitt. "The Over-the-Rhine and Pendleton neighborhoods, plus a portion of one other adjoining neighborhood, will now be exempt from zoning that requires one parking space per residential apartment and one spot for every 400 square feet of retail space," adds Schmitt. Cincinnati Business Courier reporter Chris Wetterich was on the scene, live tweeting the City Council hearing that produced the approval. Schmitt's article also includes links to previous coverage of Cincinnati's parking reform process.